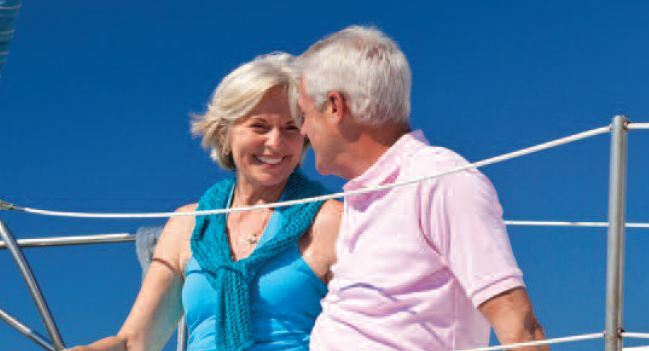 Recent generations of Americans have grown up with a picture of retirement that’s based on their parents and grandparents: Stopping working at around age 65 or sooner in order to spend the rest of their lives traveling, visiting children and grandchildren, indulging in hobbies and recreation, and volunteering to support their favorite causes. But how realistic is this idyllic scenario for baby boomers and members of Generation X and Y? Not very, if the results of two recent surveys conducted by HSBC are to be believed. In the first survey, respondents in the U.S. said they expect their retirement to last for 21 years, but their retirement savings to last only 14 years, leaving a retirement shortfall of 33 percent. In the second survey, 18 percent of respondents in the U.S. said they don’t think they will ever retire, at least in the traditional sense of giving up work completely. Among those questioned in the survey who have already retired, meanwhile, almost half said they haven’t been able to realize their pre-retirement plans in retirement because they have less money available than they expected to meet their everyday living expenses. According to the study, high levels of unemployment, low wage growth and depressed savings rates have made living the “dream retirement” unrealistic for many Americans. Increasing life expectancies, a higher cost of living (especially housing and college educations for their children) and the need to possibly continue supporting their adult children due to the difficult job market are other factors the study attributed to the pessimism many respondents voiced when it comes to retirement. Unfortunately, this financial pessimism appears to be supported by recently released consumer sentiment data revealing that the Consumer Reports Index sentiment measure dropped from 50.8 in August to 48.6 in September, its lowest level since October of 2012. The Index’s measurement of consumer stress, meanwhile, rose from 53.7 to 58.0. And the Consumer Reports Trouble Tracker measure, which gauges negative financial events for individuals and their difficulty in paying bills, shot up in September from 34.7 to 46.0. While these and other surveys may paint a bleak retirement picture for many Americans, that doesn’t mean any individual’s or couple’s retirement plans have to be derailed. It’s easy to read surveys and reports like these and think that retiring is a pipe dream, so why even try to save for retirement, but these are just broad statistics of the population as a whole — they don’t have any impact at all on any particular individual’s or couple’s retirement prospects. Whether or not you are able to retire comfortably, when you want to, is primarily dependent on when you start saving for retirement, how much you save, and how wisely you invest your retirement savings. Couples and individuals should focus less on what the media and pundits are saying about retirement, and more on their own retirement savings strategies. Set goals for how much you think you need to save in order to retire comfortably at a target age, and then work backward from here to determine how much money you need to save each month to meet these goals. While there are a lot of uncertainties involved in such an exercise — such as rate of return, inflation and the future cost of healthcare — at least this will give you some kind of target to shoot for.